Group shot before a baseball clinic with Sports Envoys Barry Larkin and Joe Logan in Ecuador. 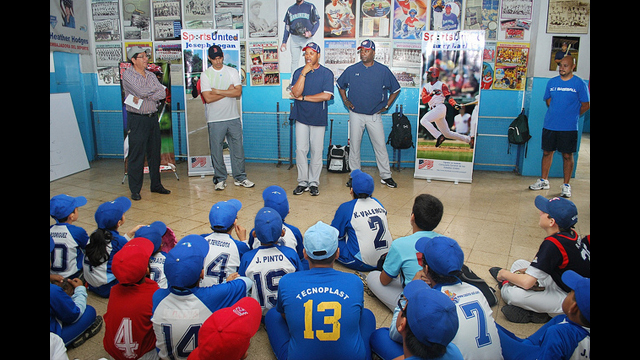 Young players cluster to hear Barry Larkin’s baseball tips in Guayaquil, Ecuador. 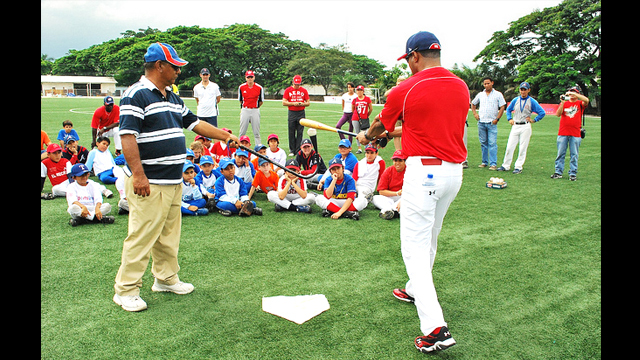 Barry Larkin works on batting with an Ecuadorian coach and his team at Yeyo Uraga, a sports complex in Guayaquil. 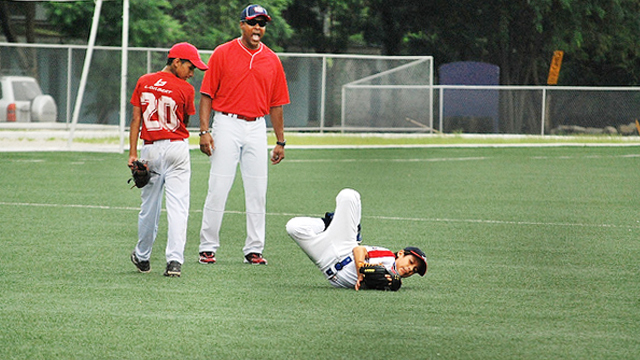 Barry Larkin does catching drills with young Ecuadorians at a clinic in Guayaquil. 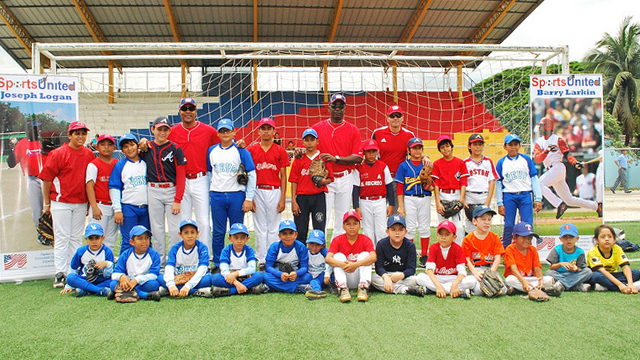 Barry Larkin with clinic participants in Ecuador. 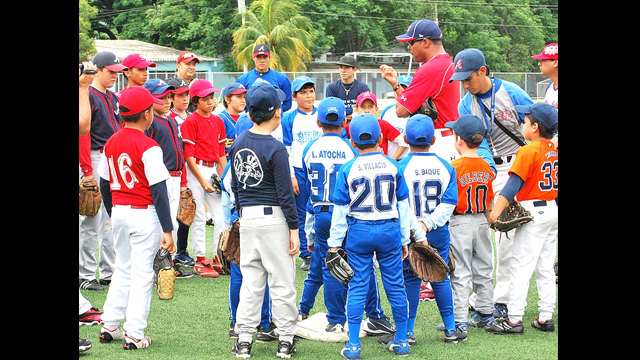 Barry Larkin and Joe Logan speak with young athletes before a baseball clinic in Ecuador. 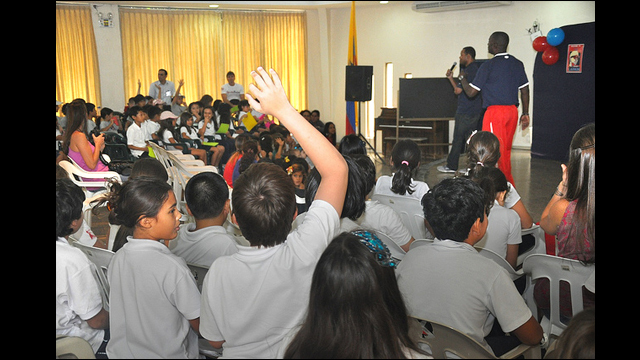 Barry Larkin and Joe Logan interact with girls and boys at Colegio Americano in Ecuador. 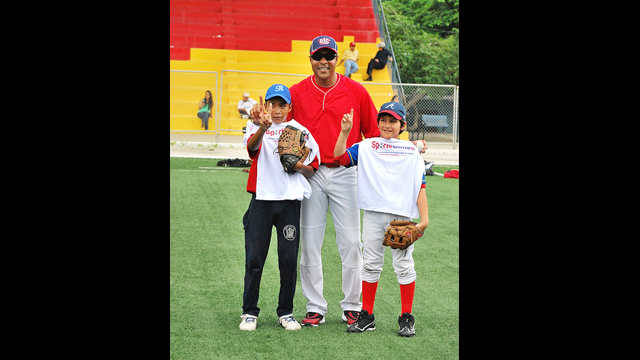 Major League Baseball All-Star and 2012 Hall of Fame inductee Barry Larkin visited Guayaquil, Ecuador. Joe Logan, former player with the Montreal Expos and coach of the Orlando Reds, accompanied Larkin. They have also visited South Korea, Taiwan, and Colombia in the past.